It's already July and we have a great box coming up this month! July's featured tea is from Chai Diaries. The company's founder, Ami (<--she grew up on a tea plantation in India!!!) was kind enough to share a little more with us about Chai Diaries. How did Chai Diaries get started and how long has it been around? I started Chai Diaries in 2013 when I moved to America from India. My family has harvested tea in India for over 100 years, which motivated by passion from a very young age. I’m inspired by the serene joy that comes from the tea drinking experience and I wanted to share the culture and ritual of tea drinking with others. Have you always been a tea enthusiast? You could say I was born a tea enthusiast. Growing up on my family’s beautiful tea plantation was enough to get me hooked. Each flavor recipe is an exciting tasting adventure as you perfect the blend. I have a love for developing refined blends and beautiful aromas because it captures my memories from childhood and allows me to share this experience with others. How did you come up with the name and where does the “diaries” part come in? Chai Diaries is built on the principle of honesty and the importance of self-reflection. The ritual of enjoying tea is sacred to each individual. You pick a tea based on the mood of the present moment and I encourage its enjoyment as a reprieve in what may otherwise be an overwhelming day. Tea drinking can be both a personal and introspective experience or shared with a friend, but I believe it should always provide pleasure. Our teas are sourced directly from tea growing estates around the world. We have years of relationships established with the estate owners across countries like India, China, Japan, Taiwan, allowing us to ensure that we are procuring what’s best for our customers. Our specialty teas are then hand blended in-house in California with natural whole fruits and botanicals. Each tin is hand packed fresh when we receive orders from customers, ensuring their Chai Diaries experience is one filled with freshness and love! Which Chai Diaries tea is your favorite? Oh well that would definitely depend on my mood. What I love so much about Chai Diaries is that we offer an array of premium teas to suit each and every mood and function. In the morning, I love having our Chinese Organic Dragonwell, a beautiful pan-fired green tea exclusive to that area in China. But in the evenings I’ll enjoy something a little more fruity and iced, like our Blood Orange blend or our summer favorite – Passion Fruit Oolong! Thanks Ami! To learn more and see their tea selection, visit mychaidiaries.com. 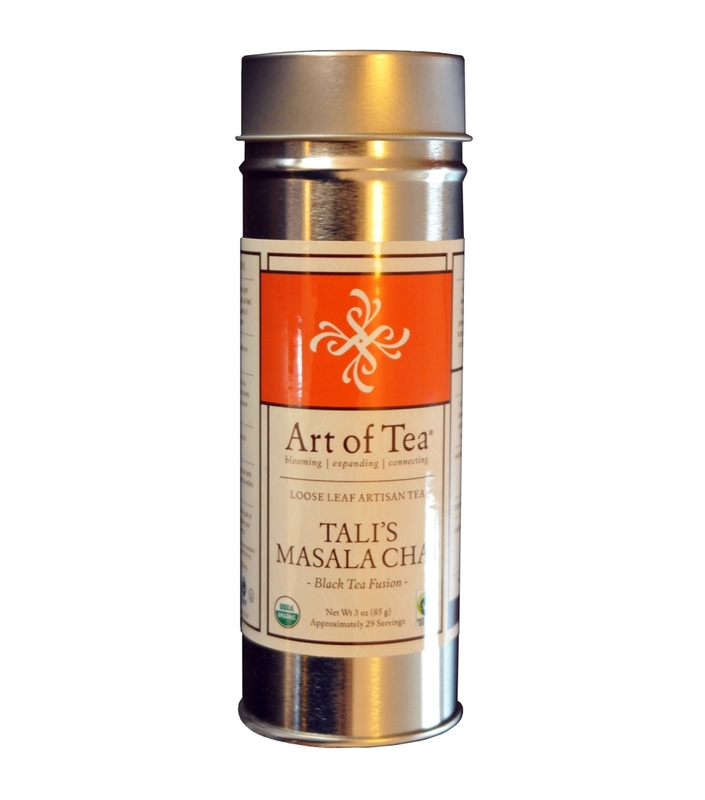 To sign up for a July box that contains Chai Diaries tea, purchase a subscription or a gift by July 5th. A Valentine's Tea Box Coming Right Up! Valentine's Day is just around the corner. If you're looking for a unique gift for a tea lover in your life (or a little treat for yourself) then look no further! We have 3 good reasons why you'll love the February box. Yes, those are real rose petals in the mix! 2. It wouldn't be Valentine's Day without chocolate, right? Consider that covered. 3. The box will include two handmade all-natural tea-inspired bath & body products. February's box is full of unique products from neat brands. You won't want to miss it!